Want to stay up to date with all of our news and events while on the go, inform us of any absences, take pictures, keep notes from swim lessons and much more, all from your mobile? Download our new look mobile app today! Available for both Apple and Android phones. For iPhone – just update your existing app. 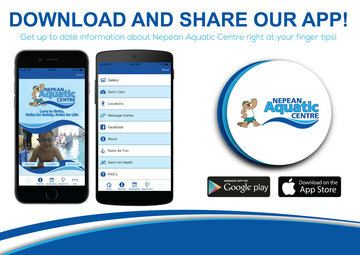 For Android – delete existing app and download new version – Nepean Aquatic Centre App – from the Google Play store. Make sure it has the word APP on the end to make sure you are downloading the latest version!